Microsoft's new console which is said to be the world's most powerful console in history.This was till now reffered with codename "Project Scorpio". This new console will bring change to the gaming generation. The features, specs and price were revealed in a E3 2017 conference. This new beast has a very beefed up hardware specs. The Xbox One X can handle 4K HDR content and is powered by a custom octa-core AMD CPU clocked at 2.3GHz. It also comes with 12GB of DDR5 RAM, 8GB flash memory and 1TB of HDD storage. The console includes support for DTS 5.1 audio technology, Dolby Digital 5.1, and PCM 2.0, 5.1 and 7.1 audio. Some of the connectivity options include IR blaster, dual-band Wi-Fi, Bluetooth, 2 HDMI ports, 3 USB 3.0 ports, IR-out and Ethernet ports. This console is said to to have the best graphical processing performance which no other console does'nt have till date. It has 6teraflops of graphical processing performance, which is 1.8 teraflops more than the the Sony's PS4 Pro. Xbox One X has a Hovis vapor-chamber for cooling which also helps it in keeping the noise levels less. The design is changed due to its predecessor.Now it is designed both slimmer and lighter than the previous models. According to Microsoft, Xbox One X is the smallest Xbox ever. 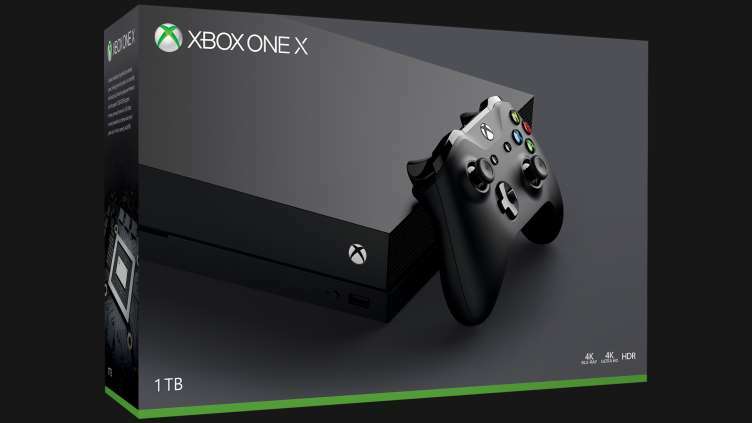 As for the price and availability, Microsoft Xbox One X will be releasing in the US, Europe, Canada and Australia on November 7 at $499 (roughly Rs 32,100), 499 Euros, 599 CAD and 649 AUD respectively. Although there is no confirmation, it's likely that the console could launch in India next year at a much-higher price tag.